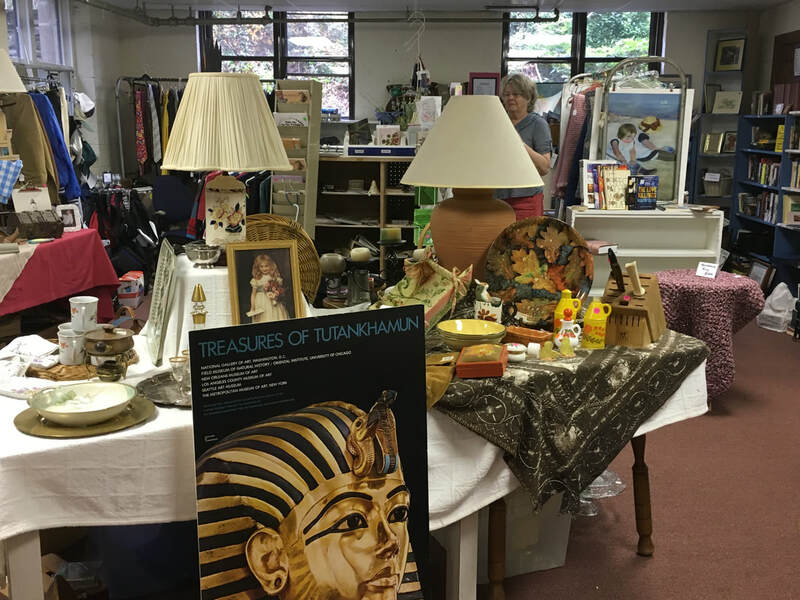 Trinity Thrift Shop provides friendship and fellowship to its twenty-plus volunteers. We are a mixed age group of volunteers, some are members of Trinity Episcopal Church and others are members of other area churches. As one of this church's largest ministries, what brings us together is the pleasure of each other's company and the spirit of giving back to the community. Many of our shoppers have been coming to Trinity Thrift Shop, from Swarthmore and the surrounding communities, for years. We've watched their children grow up and consider many of our "regulars" old friends. Swarthmore College students are often frequent visitors to our shop and as our parting gift to a graduating senior; anything in the shop is free. 9:00 — 11:00 am. Our sale days take place two Fridays each month, September thru June. books, "treasures", etc. are accepted. We are unable to accept televisions, computers, or car seats.